Storyline Alpha: Coulson, Mack, Yoyo and May are all working for the scavenger, Grill, and he’s got his eye on all of them. Grill thought the dead pilot, Virgil was skimming his take, and he’s pretty sure the newbies are picking up where Virgil left off. He’s got it half right. 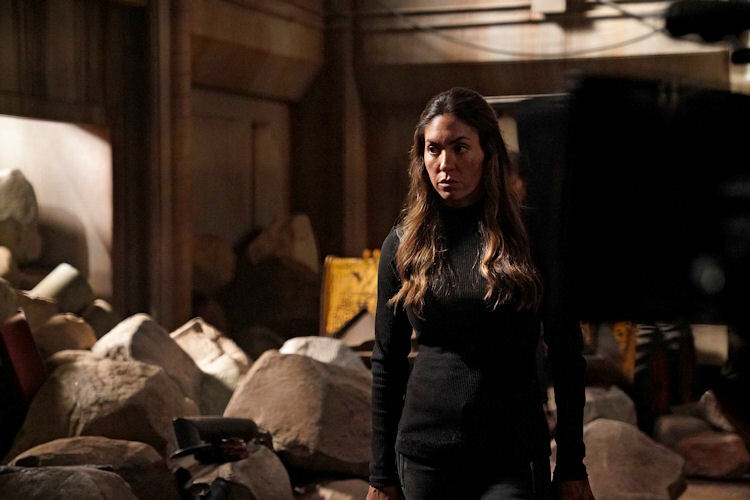 Coulson’s team isn’t taking a piece off the top, but they are trying to solve the puzzle left behind by Virgil. Most of Virgil’s efforts appear to be centered on a large chunk of the planet floating nearby. They rig passage under the guise of extra labor needed to complete an owed double shift. They find a transmitter on the ship, and it catches a signal coming from the supposedly dead chunk of rock. Coulson’s activities are discovered by goon place on the ship by the bossman. They have to dispatch him, which opens the team to serve punishment when they get back to the Lighthouse. In the end, they avoid getting in trouble thanks to Yoyo’s powers, as she plants contraband on the goon and makes it seem he’s the one up to no good. His punishment is to be set down on mystery rock which is crawling with those alien roaches. Storyline Beta: The situation isn’t much better for Jemma in the upper portion of the base. An alien princess is on her way to the base, and Jemma is tapped to get a young Inhuman prepared for a demonstration. All humans go through terragenisis when they turn 18. The ones who develop powers are ushered upstairs, with the promise of travel through the galaxy if their powers are pleasing. The young Inhuman Jemma is asked to help can manipulate her body density, but she doesn’t have a handle on her powers yet. The girl gets about an hour of training before she’s thrown into a small area against a hulking alien gladiator. So yes, the prize for having handy powers is a short life in a gladiatorial ring on a far-off planet. The fight scene is frankly disturbing as we see a trained fighter toss a frightened young woman around like a ragdoll. Just when it’s darkest, the girl remembers her Jedi training from Jemma, and is able to activate her powers to kill the gladiator. Jemma is devastated after the girl is sold off. What’s next: We’re bound to learn more about the secrets of that second chunk of rock and it looks like Daisy is next in the gladiator arena. Last impressions: There was still a lot of world building going on, but the writers have employed a little bit of a puzzle box tactic to keep things lively. 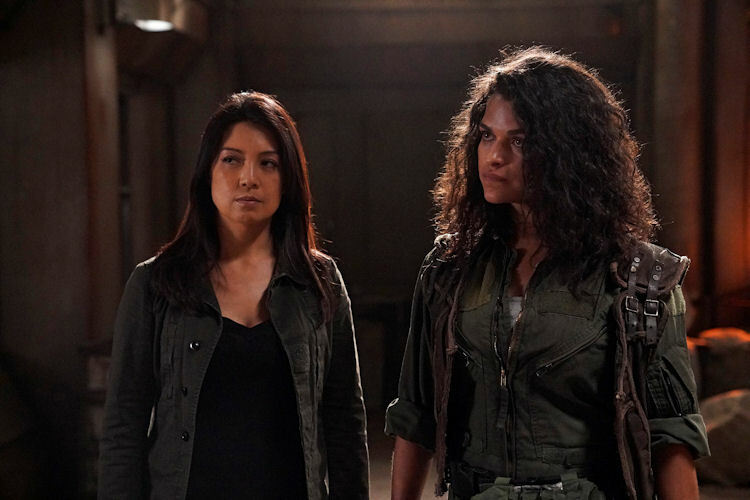 The three storylines kept narrative momentum going, as each character grouping was able to make their own discoveries, which helped push the overall plot going. 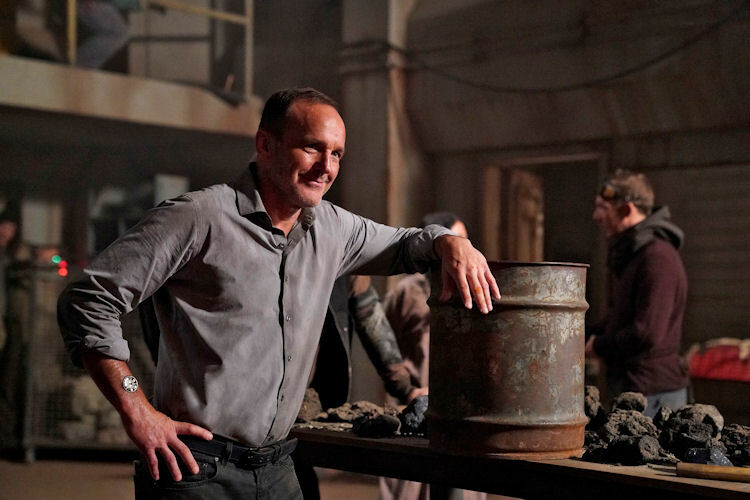 We got a nice wraparound to the end of last season in the stinger, and Coulson-May flirting was a delightful cherry on top of the whole thing.